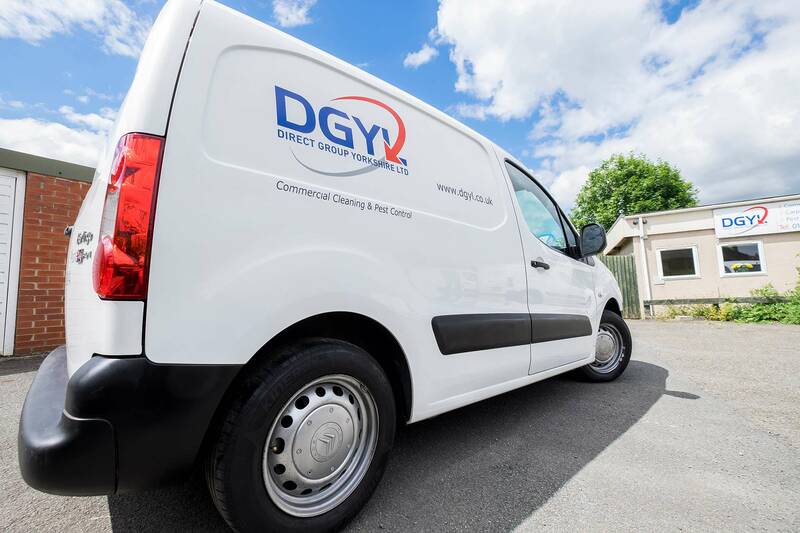 Direct Cleaning Yorkshire Ltd operates from a 2,000 square feet, purpose-built unit in Milnsbridge, employs 16 full-time members of staff (all of whom live in the Kirklees & Calderdale area) and has 10 brand new vehicles on the road. A far cry from the days when I operated as a carpet cleaner from the basement of my home in Cowlersley. As a Sole Trader I started cleaning carpets in 2000. By the middle of 2001, I purchased my first brand new van and was approached by David Wilson Homes to quote for the general cleaning of their show homes. I took on five show home cleans which prompted me to look into different areas of cleaning such as builder’s cleans and window cleaning. After approaching several different house builders I found my services to be in great demand and secured contracts with various companies. After my marriage in 2001, my wife took on the role as a part-time book-keeper before working full-time in the office and helping on-site as necessary. We then became a partnership and realised it was time to employ another person for cleaning duties. This was a huge step for us because it meant finding another person’s wage at the same time as training them to meet the standards we required. In 2002, we became VAT registered, purchased a second new van and employed our third individual. In the beginning of 2003, we were in such demand that we had to move from our existing home into a new home with a garage so as to store our equipment. By the end of February 2003, we had taken on a further two employees and was awarded the contract for the window and carpet cleaning of ten nursing homes in West Yorkshire for Tri-Care. 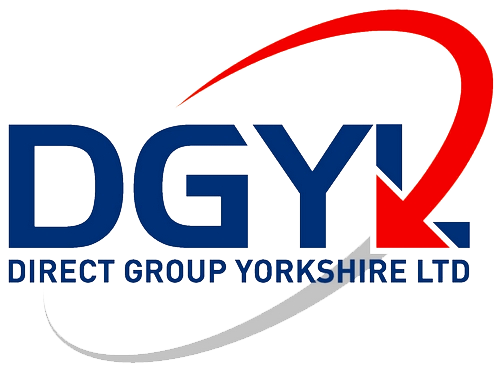 Our expansion and client base continued to grow steadily through 2004 and by mid 2005 we employed eight members of staff, had four vans on the road and became Direct Cleaning Yorkshire Limited. We then rented our first business unit in Milnsbridge so as to separate our work life from home and became members of BICSc (British Institute of Cleaning Science). Myself and general manager, John Field, became qualified trainers and assessors for the Institute allowing our staff to stay one step ahead of our competition. Our training became so successful with our in-house staff that we decided to branch into training other companies and set up our sister company Direct Training Services Ltd. We moved out of our existing unit into a purpose built training centre with offices and storage equating to 2,000 square feet where we currently run cleaning training courses for local companies, such as Nottingham City Homes, Peverel OM Management and Clean Estates Limited. In 2007, our client base and work load grew rapidly as we took on new contracts with Redrow Homes, PEC Building Services and CALA Homes. In 2008, we introduced our grounds maintenance department providing a Lantra qualified gardening team to meet the ever increasing demands of our clients. These tasks include grass cutting, brush cutting, turfing, seeding, weeding, planting out, litter picking and general grounds maintenance. The vast knowledge of our two qualified grounds maintenance employees allows us to give a top quality, maintenance package and has been incorporated with show home presentations for major building companies such as Redrow Homes. We have now been operating for 10 years and although there has been a slump in the building trade our company has continued to thrive. John Field and Mick Kaye became company directors and share holders in January 2009, and our training company – which now offers more than 20 courses in cleaning, grounds maintenance and employability skills – was an exhibitor at the 2009 Cleaning Show at the NEC, Birmingham in March. Location cleaning for television production companies is a growth area for us and we are currently contracted to work on the BBC’s Hustle and The Street and ITV’s The Royal. Our graffiti removal busine ss continues to expand, as does our carpet cleaning service and we are updating our carpet cleaning system with a £25,000 truck mounted system. Builder’s cleans are also a continually strong part of our development and we are proud to be associated with CALA Homes’ four-year “Hexagon” project at the old Weir Valves site in Birkby. By way of giving something back to the community, we are proud sponsors of the Meltham Under 7s football team and the Malcolm Pickup Academy Squash club in Lockwood.